KBS News 9, ‘I am a Single Mother in Korea’ and Journey on Foot won ABU Prizes. 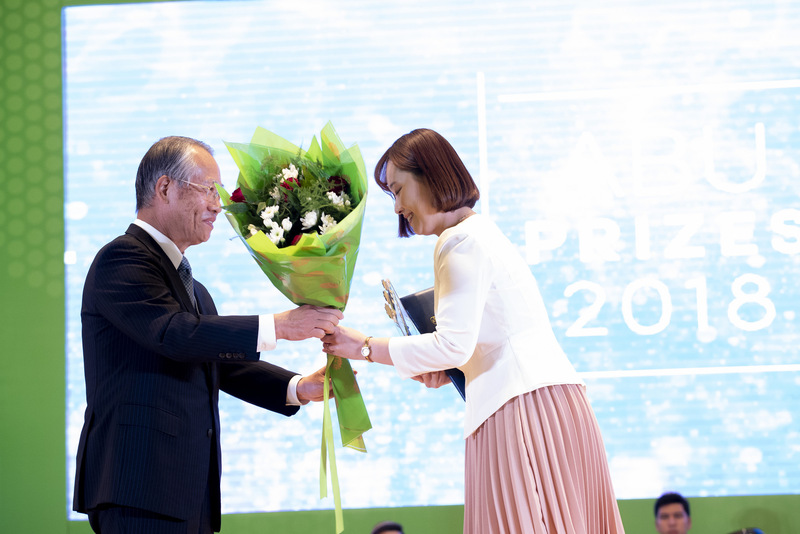 KBS delegate receives an ABU award from ABU President Ryoichi Ueda at ABU Prizes 2018 awards ceremony. 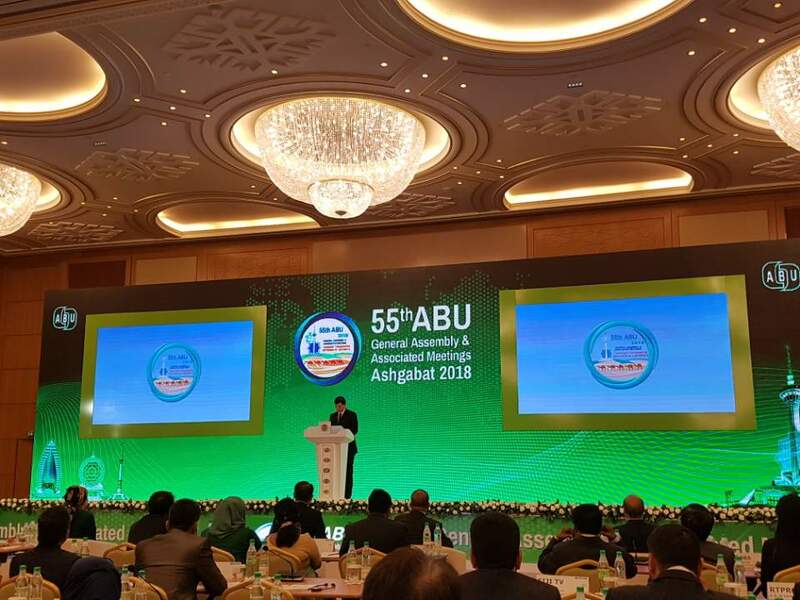 KBS shined at ABU Prizes 2018 with three KBS programs taking top honors at a ceremony held in conjunction with the ABU General Assembly on October 4, 2018 in Ashgabat, Turkmenistan. KBS shined at ABU Prizes 2018 with three KBS programs taking top honors in news reporting, TV and radio. At a ceremony held in conjunction with the ABU General Assembly on October 4, 2018 in Ashgabat, Turkmenistan, KBS News 9, ‘I am a Single Mother in Korea’ won the category for TV News Reporting while The 70th Year of Jeju 4.3 Special Docudrama Trilogy won the category of Radio Docudrama. Also, KBS TV documentary Journey on Foot, Homeward was honored with ABU Perspective Award in the TV category. Broadcast on April 17-21, 2018, KBS News 9, ‘I am a Single Mother in Korea’ is a five-part report series that looks into the difficulties of single moms in Korea as they struggle with discrimination and social stigma. The 70th Year of Jeju 4.3 Special Docudrama Trilogy is a three-part radio series that was aired on April 2-4, 2018 in commemoration of the 70 years of the Jeju April 3rd Massacre and 40th anniversary of the publication of “Uncle Soon-Yi.” The novel depicts the Jeju massacre, one of the most tragic incidents in modern Korean history and KBS Radio presented the novel in a form of docudrama. Delivered in high quality full-scale UHD broadcasting service, Journey on Foot captures the people of spiritual pilgrimage on three continents. The four-part documentary series was broadcast on September 7-15, 2017 and honored with some of the most prestigious awards this year including New York Festivals World’s Best TV and Films, World-Fest Houston International Film Festival and AIBD World TV Awards. ABU Prizes 2018 attracted over 300 entries from across more than 50 countries.